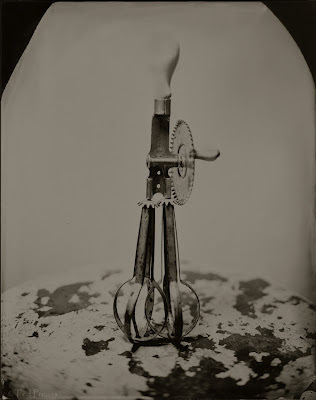 Ted Preuss - Blog: New Addition! I finally photographed my 1923 egg beater in which I still use! I think I’m going to retire it from the kitchen and move it to the darkroom to beat egg whites to create albumen photographs. Later I’ll post some samples of my albumen prints. Meanwhile here’s a short video on the process. You can view more of my collodion tintypes on my website.